In the Phoenix Metro area, there are plenty of options to selling a truck or car fast. One way is to take your car down to a car dealership and trade it in. 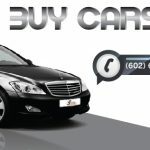 Most car dealerships in Phoenix or Scottsdale will only take a trade in if your buying a new car. Most dealerships are not interested in just buying your car without you buying another car off the car lot. The good news is there is a way to sell your car or truck fast for cash and from a reputable car and truck buying service. No not craigslist, this option requires buyers to come over your home and negotiate at your home. Selling a car on craigslist is not for everybody, it requires a lot of time and sometimes it can be dangerous. 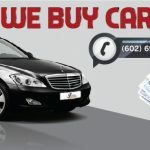 People in the Phoenix metro and Scottsdale area are using www.carbuyersarizona. People call this services at 602.696.4570 to have a professional service come over and give them a reasonable no hassle quote on the spot. This is a safe easy and fast service to handling getting rid of a unwanted car or truck.